It’s time to complete your Christmas list with hauls of whopping deals, deals, deals! 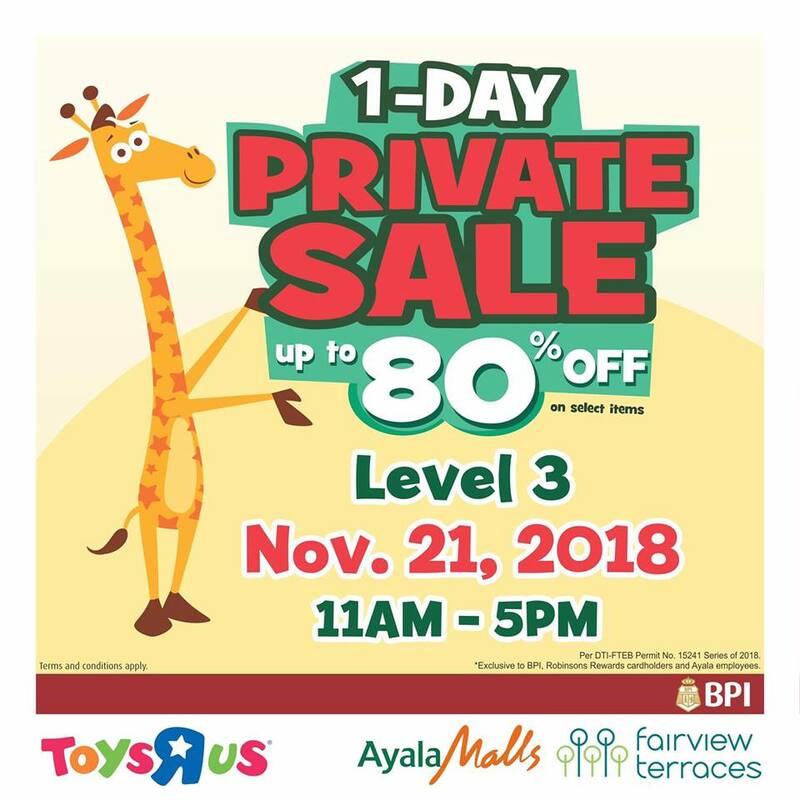 Deck the halls with discounts of up to 80%, only at the Toys “R” Us Private Sale happening on November 21, 2018 from 11AM to 5PM at Ayala Fairview Terraces. Present your BPI credit card to gain exclusive access to this event.